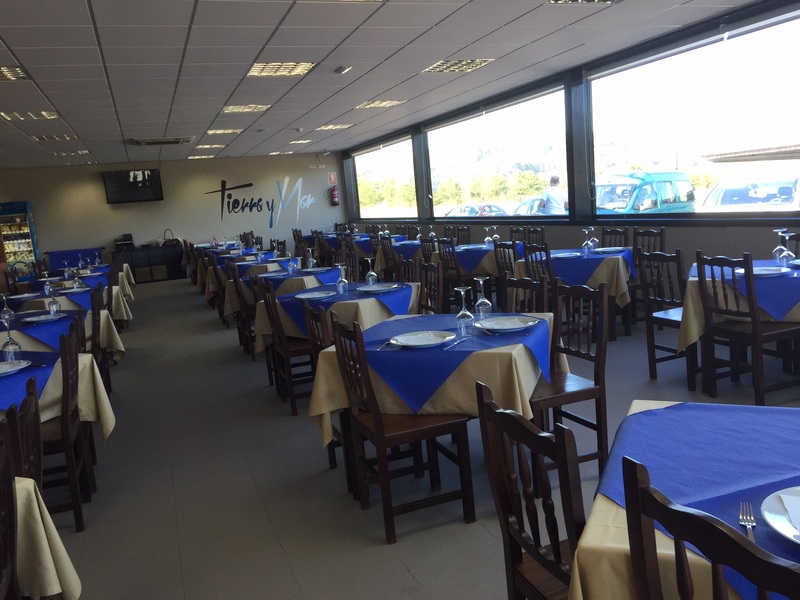 Northern Spain – what’s not to like? We have just had a wonderful proper long holiday in Northern Spain and I have come to the conclusion, not for the first time in my life that I could easily live here. For starters if you are in a holiday place it’s very unlikely that anywhere would serve you breakfast before 9 am. 10 am is much more acceptable. You SLEEP till 9am, why else would you need those very effective shutters? I have no idea how anyone goes to school or work, both of which allegedly start before then (I haven’t been up early enough to find out). Nothing much happens around town till about 1pm when all the street cafes will suddenly fill up with locals having a quick, usually alcholic drink, after having picked up the kids from school and before going home for the main meal of the day. If you are going to fit in here you have to overcome any disinclination to eat large meals along with copious quantities of wine at around 2.30 in the afternoon. After which it is perfectly acceptable to go back to sleep (not difficult after all that wine) and begin the day again around 5pm. Schools and businesses and shops all reopen till around 8 or even later, supper is at 10pm. If you try to eat your main meal at 7 or 8 pm, you’ll get some odd looks. It’s not impossible, especially in places that are used to tourists but you’ll mostly be dining alone. We have adapted to the timetable but I still get odd looks, these are usually reserved until I am two or three sentences into any conversation in Spanish. Not only do I look Spanish (the dark eyebrows), I also sound Spanish, so long as I stick to grammatically simple expressions. Living in Spain for a year 30 years ago means my accent is very good but my grammar is very poor! So I give off very confusing mixed messages: a woman who looks Spanish, initially sounds Spanish but suddenly unravels and starts speaking like a 5 year old!! Oh well, never mind. It’s fun to try and on virtually all occasions I have spoken better Spanish then the locals have spoken English which makes a refreshing change on holiday. Northern Spain is amazingly beautiful, it has stunning sandy beaches and wonderful seaside towns, plus really decent sized mountains less than an hours drive inland (the Picos de Europa). As someone we met here said, it’s like a little chunk of Switzerland beside the sea. For example men wearing wooden clogs. Not a great photo I know but one needs to be discrete when taking photos of locals. 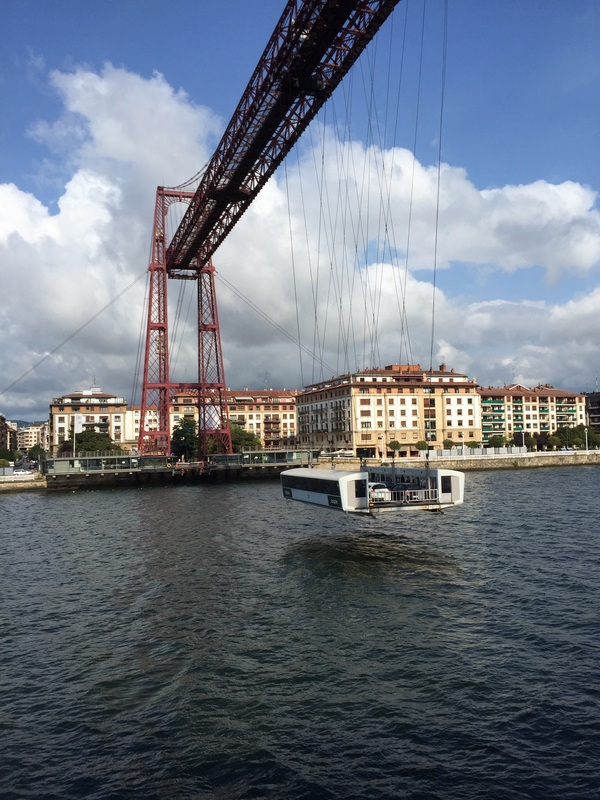 The hanging bridge in Getxo. 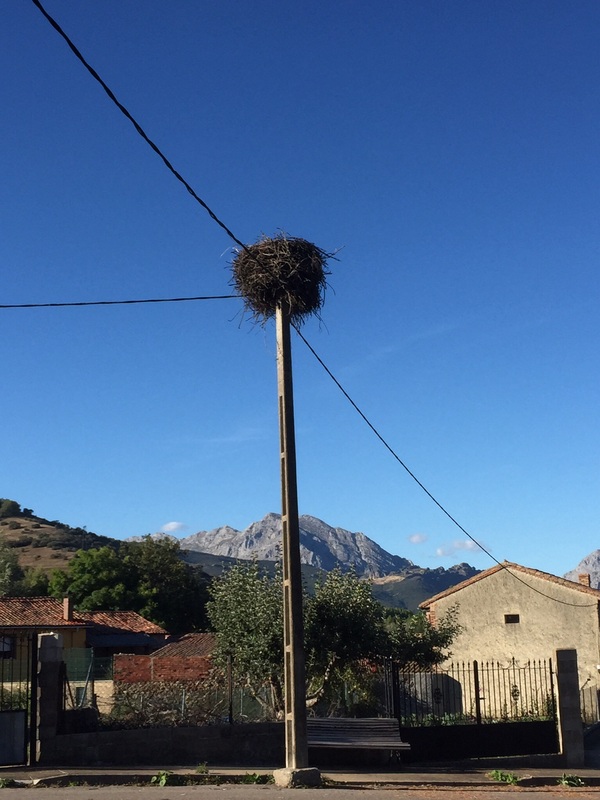 A stork’s nest on a telegraph pole (but they prefer the top of church bell towers) – you will only see one of these south of the mountains. 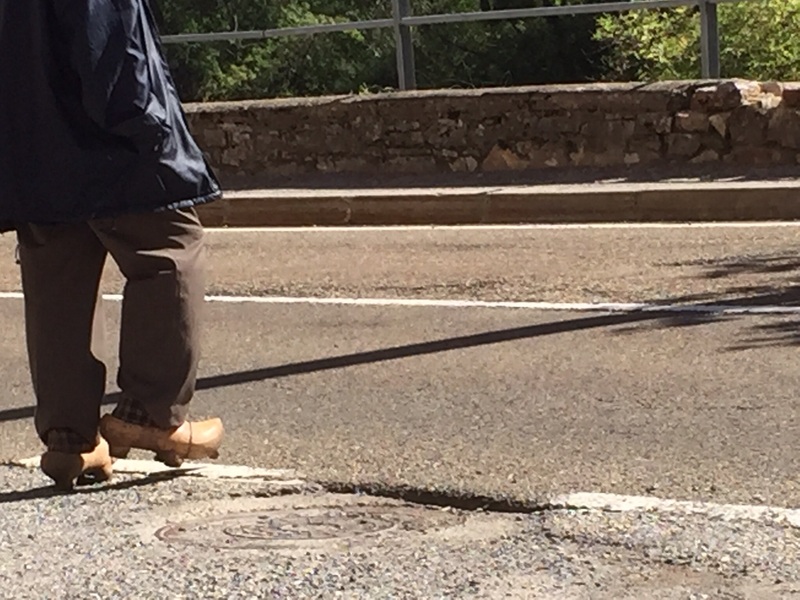 They are a sure sign you have arrived on the central plateau of Spain. 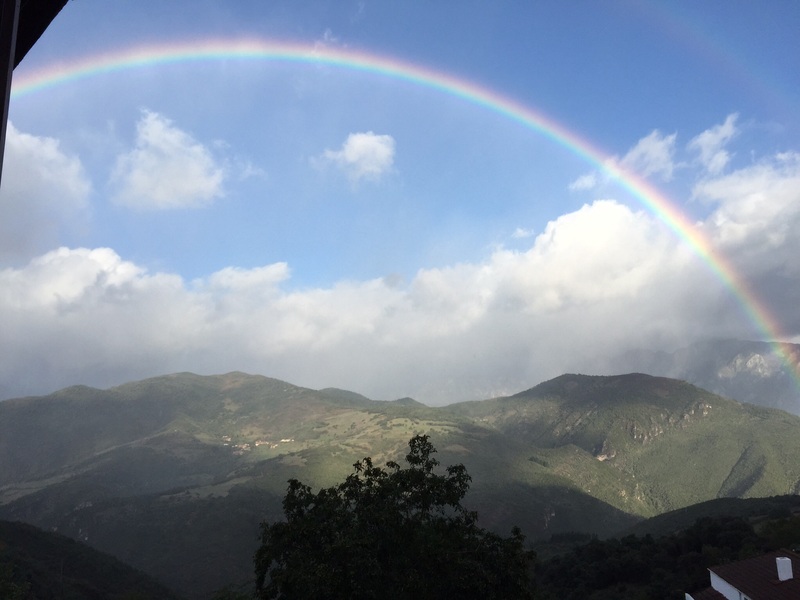 An early morning rainbow (okay it was about 10 am) over the Picos – beautiful. I could also mention the mountain roads which are very scary. Or even very, very scary depending on who is driving. I drove up and through and over and down the ” Puerto de San Glorio” pass and at NO point in the entire 90 minute experience did David relax and enjoy the views. Neither could he bring himself to say anything remotely encouraging, merely restricting himself to short utterances along the lines of “second gear now”or “not so fast” or “bit close to the edge!” I loved it! 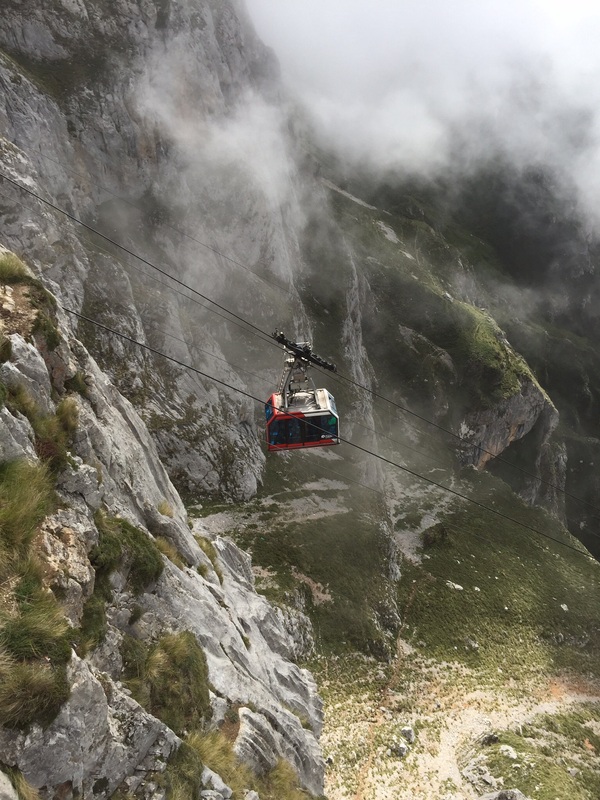 I got my own back though on the Fuente De cable car – 750 ish metres of ascent on a single cable. He closed his eyes and hummed for the whole 3 minutes and 40 seconds. My fingers were crushed, he held my hand so tightly but at least he did it. Everywhere though has its own delights. Son number one is currently in Denmark, the land of Lego and Scandanvian orderliness where you eat “snegles” for breakfast and where a hill that is only 147 metres high is called “sky view”. That’s so funny given that the village where we stayed in in the Picos was higher than Ben Nevis! 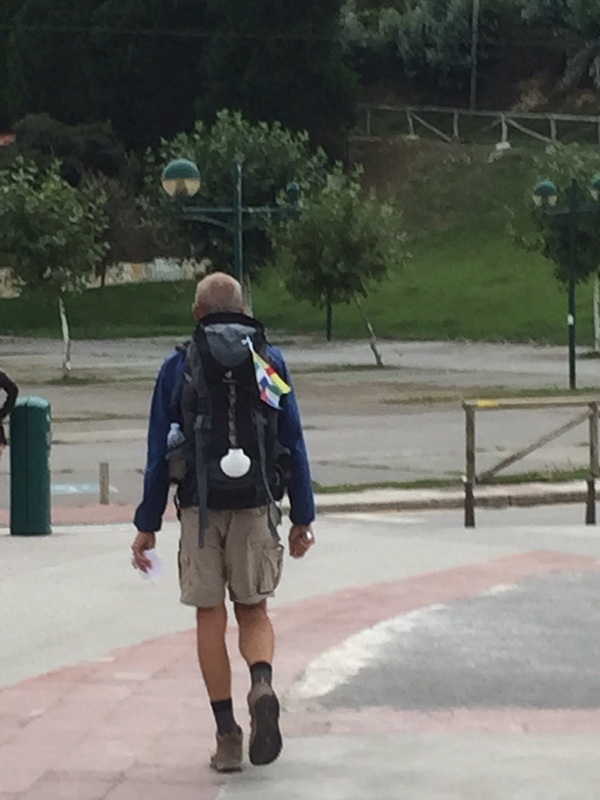 This man is a “peregrino”, he is walking the “Camino de Santiago”. Hundreds of people do this, some where the shell as the mark of a pilgrim but many don’t. It’s a blinking long way, full credit to them. But aren’t we all pilgrims in one way or another? 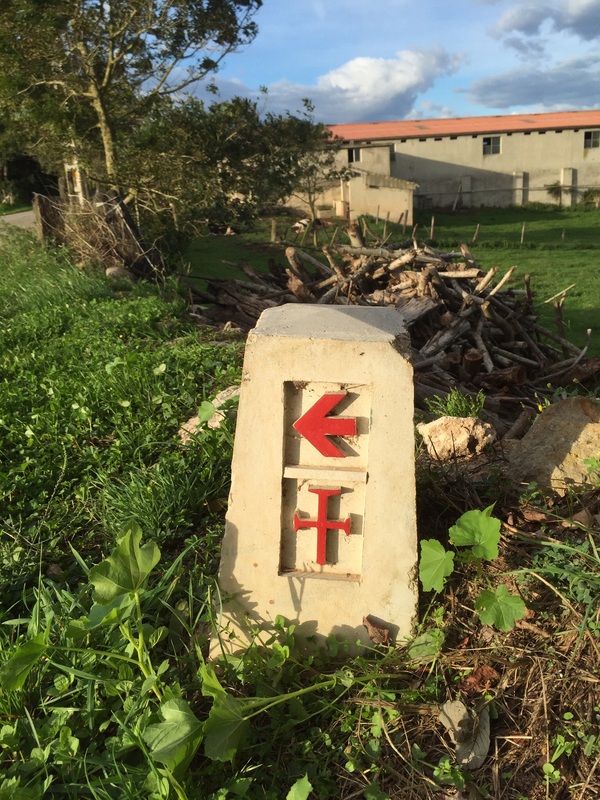 There is a lot to learn though from observing those whose pilgrimage is so obvious: the only way to get there is to just keep going, to carry sufficient supplies, have good travelling companions and keep an eye out for the signs. Here is one although the more simple yellow she’ll on a blue background is more common. On our last afternoon we found ourselves in ‘Poo’ it’s a place about 1.5km out of Llanes, it has ‘Poo’ beach, ‘Poo’ island and ‘Poo’ pueblo. Contrary to expectations it was actually all very beautiful. From the beach you could see the lovely green Picos, which does bring me to the one thing not to like about Northern Spain: it does rain. We only had one day of totally clear blue skies but we had many days of beautiful sunshine and showers and it was warm at all times. Oh well back to normality soon: up at 6.30am, bed by 10pm and no wine in the afternoon. The rest, the beauty and the immersion in Spanish, has done me a world of good. The pilgrim lessons will stay with me as will several excellent quotes from Eugene Peterson which I came across in Practise Resurrection, his excellent commentary on Ephesians. “Christian maturity is not a matter of doing more for God;it is God doing more In and through us. Immaturity is noisy with anxiety fuelled self importance.” This quote needs to be read alongside his version of Galatians 2:20.
p.s. 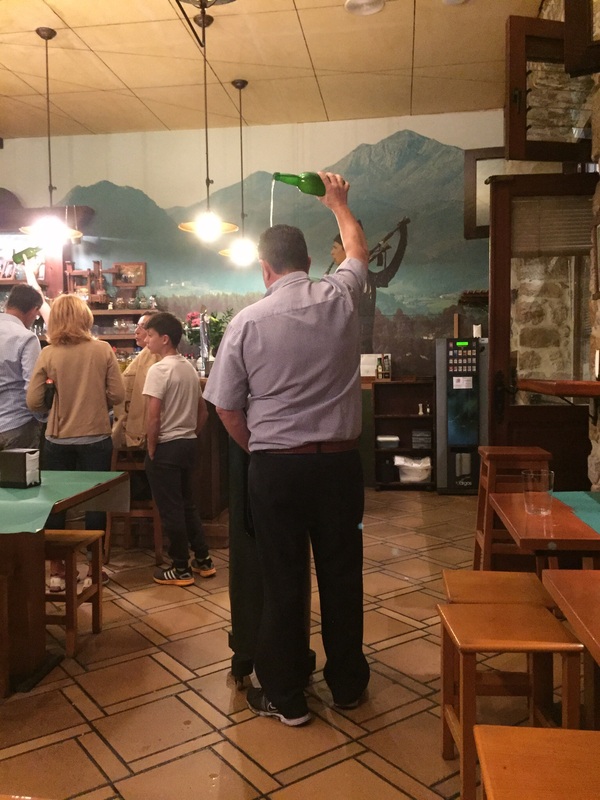 The waiter was pouring cider into a glass by holding it as low as he could in his left hand while holding the bottle as high as upheld could with his right hand. Something to do with gas, but I never found out what!